A study, published by the National Institute of Environmental Health Sciences (NIEHS), in the Proceedings of the National Academy of Sciences, has indicated how much inflammation contributes to inflammatory disease. The scientists used a naturally produced protein, called tristetraprolin (TTP), to reduce and protect against inflammation. The researchers genetically altered the TTP gene in mice so that the animals produced higher levels of the TTP protein. Experimental models of rheumatoid arthritis, psoriasis, and multiple sclerosis were used to test the processes involved in inflammatory disease. TTP provided protective benefits by targeting messenger molecules that encode cytokines. Cytokines are involved in inflammation and TTP binds to these molecules and destabilizes them, resulting in lower levels of cytokines and, thus, decreased inflammation. 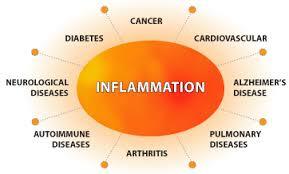 Inflammation fosters chronic diseases, many of which are increasing in prevalence and severity. The development of new therapies for treating inflammatory diseases could greatly reduce the growing public health burden. Enhanced stability of tristetraprolin mRNA protects mice against immune-mediated inflammatory pathologies, Sonika Patiala, Alan D. Curtis, Wi S. Lai, Deborah J. Stumpo, Georgette D. Hill, Gordon P. Flake, Mark D. Mannie, and Perry J. Blackshear, doi: 10.1073/pnas.1519906113, published online 1 February 2016. ← Glyphosate use has risen 15 fold. 18.9 billion pounds of glyphosate used globally.